Winds are shifting and becoming southerly ahead of a cold front that will bring widespread rainfall and possible thunderstorms. 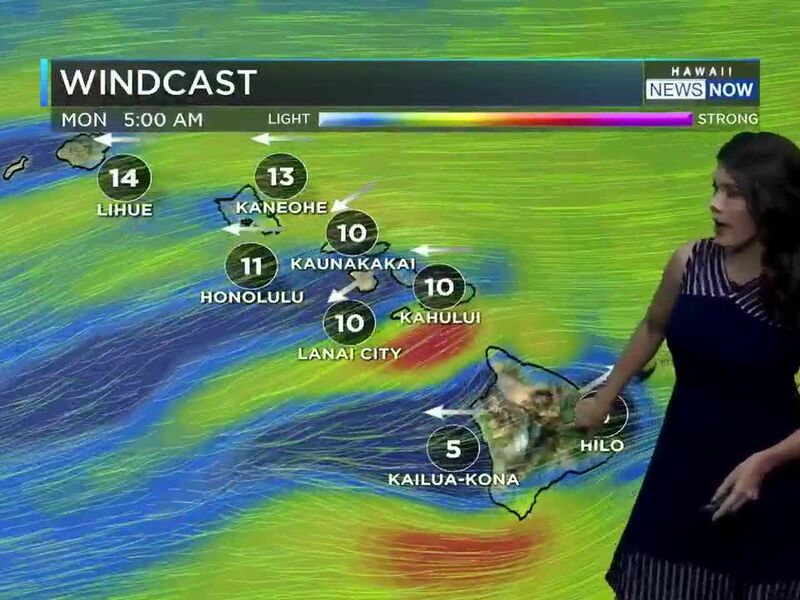 Gusty southwest Kona winds will accompany the front as it reaches Kauai late Thursday and then moves down the island chain, reaching the Big Island late Friday. Temperatures aloft will be cold enough to increase the potential for some snow on the high summits of Mauna Kea and Mauna Loa. North winds will fill in behind the front, along with drier conditions. 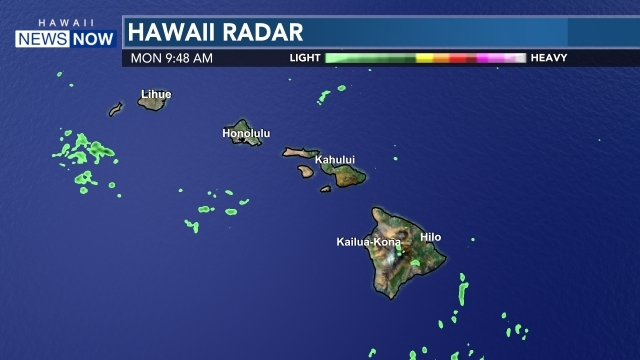 Trade winds will then move in briefly Friday night and Saturday, which could push in some lingering showers from the front over windward areas of the Big Island and Maui. 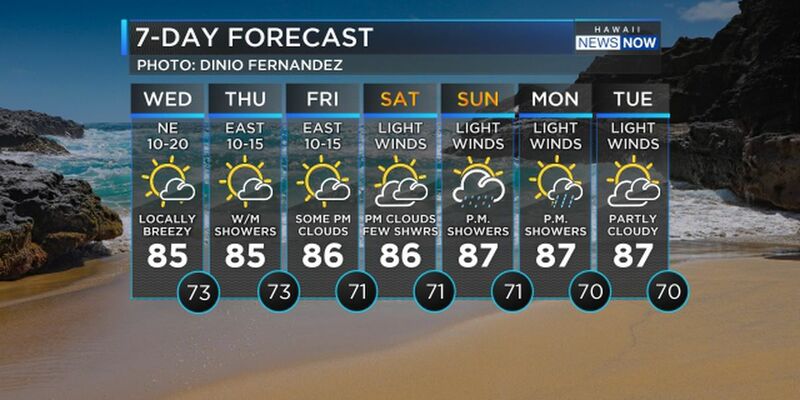 Winds will lighten up again by Sunday as another front approaches. This one could reach Kauai late Monday or Tuesday with increasing showers. 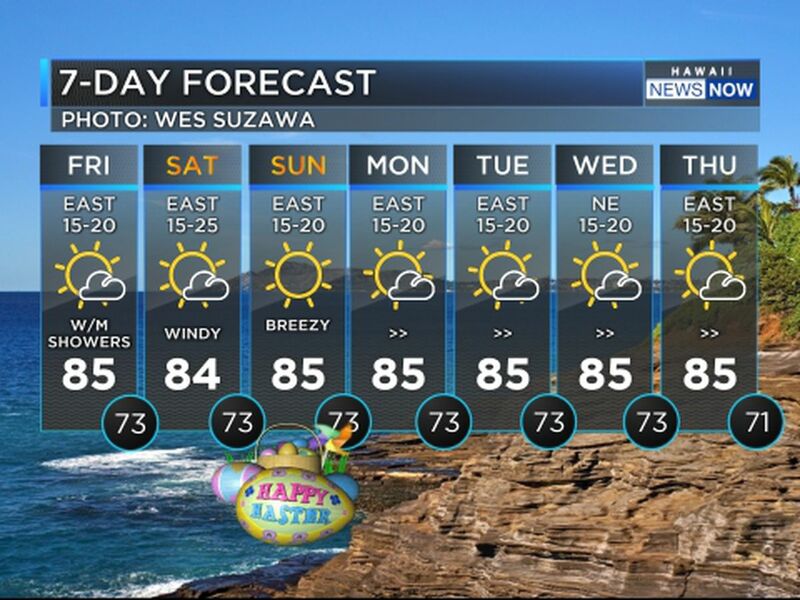 Surf is on the way down, and the high surf advisory for north and west shores has been canceled. A new moderate to large short-period swell will build Thursday night and peak Friday near or at advisory levels.